The good news is that it will still be around after the new Golf 2 is launched”. So read the 1984 edition of The VW Times at the launch of the Citi Golf in South Africa. They were a bit pessimistic weren’t they? Golf 6 has just been launched and it’s only now, 25 years and 377 000 units later, that the iconic dinosour many of us cut our motoring teeth on, is being put out to pasture. Even though it still sells roughly 1 000 units a month, time, technology and new legislation has caught up with the Citi Golf. The last one rolled off the Uitenhage line on 2nd November. It’s probable replacement will be the Volkswagen Gol, built in Brazil. The Citi Golf production line in Uitenhage now builds the VW Polo, predominantly for the export market. 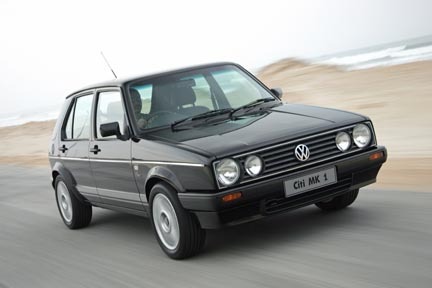 From 1984 to 2009, the Volkswagen of South Africa production plant in Uitenhage produced 377 484 Citi Golfs, a figure which surpassed Beetle’s record of 288 384 units produced over 28 years at the same plant. 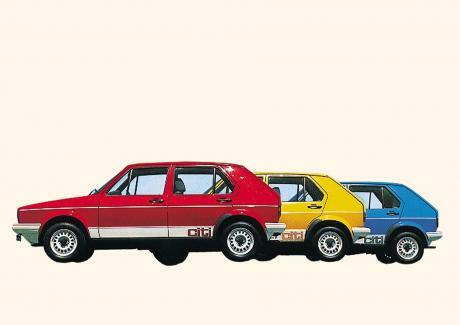 1984:Red, Yellow, Blue Citi Golf range is launched at a premier event in Johannesburg. 1985:VWSA partners with the National Road Safety Council and Caltex Africa on School Driver Education Programme. 26 Citi Golfs are donated to the programme. New colour is added into the Citi Golf range, black with white accents. First special edition, Citi Golf Sport is introduced. The 1.6 litre 63kW sportier Citi Golf comes with sports seats, close-ratio 5-speed, rev counter and digital clock. 1987:Citi Golf logo on the rear door is changed. 4-speed automatic transmission is added into the range. 1988:Citi Golf Sport with a 70kW 1.8 litre engine is introduced and it comes with a 5-speed manual transmission. 1989:Air conditioner and immobiliser system are added to the Citi Golf range and are offered as an option. 1990:Citi Golf CTi is launched to reincarnate the spirit of the Golf GTi 1. It is powered by high-torque fuel injected 82kW engine with a top speed of 180km/h. It sprints from 0-80km/h in just over 6 seconds. 1991:Model range comprises of 1.3 litre economy version, 1.6 litre with manual and automatic transmissions, 1.8 litre carburetor fed Citi Golf Sport and range topper, 1.8 fuel injected CTi. Citi Golf special edition package, Designa with 7-spoke alloy wheels, colour coded bumpers, sports seats is introduced for 1.6 litre models and Sport. 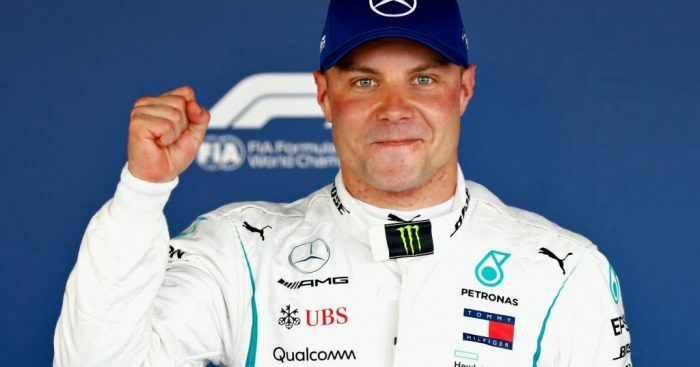 It is offered in five colours – Black Magic, Artic White, Diamond Silver, Monza Red and Sapphire Blue. 1992:Citi Golf Shuttle, the cheapest model in the range is introduced. It is only offered in two colours – Red and White. 1994:To celebrate the 10th anniversary of the Citi Golf, a limited edition 1.6 litre Citi Golf Ritz is introduced. 15 000km service interval; 3-year unlimited mileage and anti-rust warranty is introduced to the Citi Golf range. 1995:1.3 litre Citi Golf Chico at R33 950 is introduced. It retails at 10% cheaper than most affordable cars in the market. 26 759 units are sold, the best sales figure in the 11-year history of the Citi Golf. Special edition, Citi Golf Blues is introduced and it comes standard with radio/tape, new trim and roof mounted aerial. Chico range gets 5-speed manual transmission as well as an upmarket derivative, 1.6 Chico Lux with quad headlights and alloy wheels. 1997:Citi Golf Sonic with 1.4 and 1.6 engines is introduced. Citi Golf Sonic added a touch of retro styling to the range with silver instrument dials, roof mounted aerial, high level brake light. 1998:Special Edition, Bafana Bafana is introduced to pay tribute to the success of the soccer national team. 52kW carburetor fed engine replaces the 48kW engine in the Chico range. 1999:Fuel injected engines, 1.4i (62kW) and 1.6i (74kW) are introduced. They are accompanied by upgraded brakes, new exhaust system and externally mounted fuel pump. Chico models retain the carburetor fed engine as an option. Citi Golf Life 1.6i is introduced and it comes standard with CD/radio and 4-speakers. 2000:Citi Golf.com with a 1.4i engine is launched and it comes with a warning buzzer for lights, fuel and oil. 2001:CAR magazine survey revealed that Citi Golf had the lowest cost of ownership (based on the sample basket of parts for service items, mechanical parts and repairs for accidental damage) in comparison to other cars in its segment. 2003:Major Facelift – Front windows become one piece and dashboard is updated. 2004:Chico 1.4 is voted the Best Budget Car by CAR magazine in its Top 12 Best Buys. 2005:1.4i and 1.6i Citi Golf Velociti with silver golf knob gear, twin exhaust pipe, smoked taillights is introduced. Citi Golf Rhythm 1.4i with alloy wheels, radio/CD/MP3 player as standard is introduced. 2006:The fastest ever production Citi Golf, 1.8i R-Line is unveiled at the Auto Africa Motorshow. The 90kW R-Line had a top speed of 193km/h and it took 8.6 seconds to achieve 100km/h. 2007:A milestone in the history of A1 (Golf 1 and Citi Golf) was reached as 500 000thunit was produced at the Uitenhage Plant. 364 813 of these units were Citi Golf. 2008:Chico 1.4 carburetor fed engine is replaced with fuel injected engine due emission laws and Chico is renamed TenaCiti. CitiSport and CitiRox models are fitted with sport suspension, CD/MP3, central locking and alarm system as standard. Citi Plus short term insurance for Citi owners is introduced in partnership with Alexander Forbes. 2009:1.4i Citi Xcite is added into the Citi range for the sound aficionados. The sound package is developed jointly with Lightning Audio, a subsidiary of Rockford Fosgate. It consisted of 2-way door mounted speakers, an amplifier and sub-woofer. Greatest technology advancement is achieved with the Citi as the driver airbag is fitted as standard across the range. Limited edition Citi Billabong, a co-branding initiative with the watersport apparel company, Billabong is introduced.